Over the past year Campers Pantry have introduced a new range of meals onto the market for outdoor enthusiasts and included as part of this is three desserts to add the the limited range currently available. When I hike I won’t eat desserts every night, particularly during summer, but as the colder weather sets in they become part of my regular meal rotation as I look to boost the amount of calories I eat and to warm me up at the end of the day. These desserts are progressively becoming more commonly available and can also be ordered both online, in store and through the supplier. Apart from being different to what is already on offer in Australia from Back Country Cuisine these desserts are single serve which is great if you don’t want to overeat. 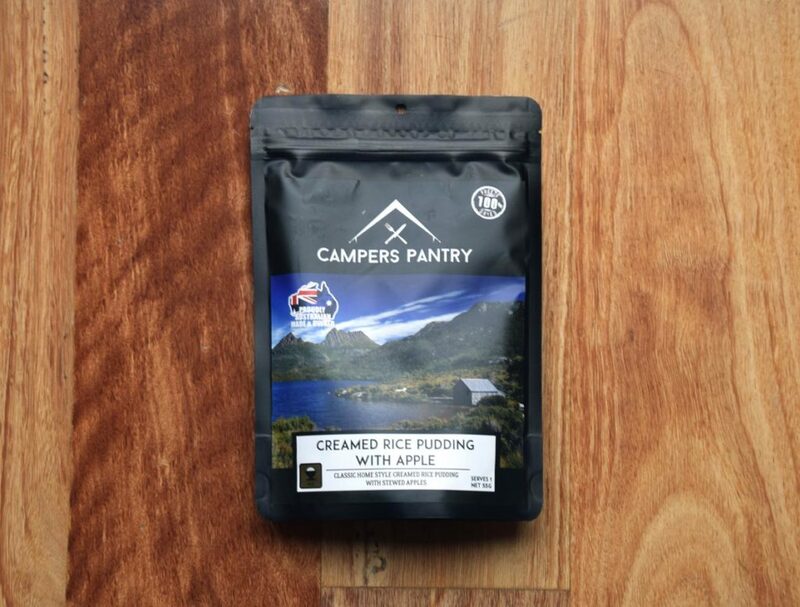 The Campers Pantry Creamed Rice Pudding with Apple is my favourite out of the three from this company. 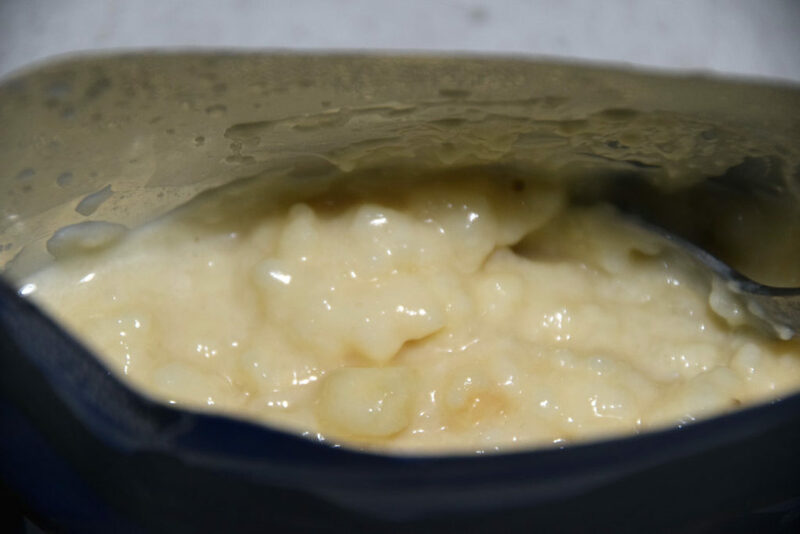 The texture is smooth and goes down very easily as you would expect with something that is called ‘creamed’, and taste is excellent having just enough hint of apple to offset the rice pudding. I was left with a very contented feeling after eating this dessert and could have quite comfortable eaten seconds, and probably third helpings. The only drawback from my perspective is as a single serve dessert the cost is more expensive than if you were buying a twin serve from Back Country Cuisine. Having said that if you aren’t in the sharing mood and don’t want a huge dessert then these meals are an excellent size for one person. The packet recommends 20 minutes for rehydration but oI found like many of the main meals that 14 minutes is perfectly adequate. 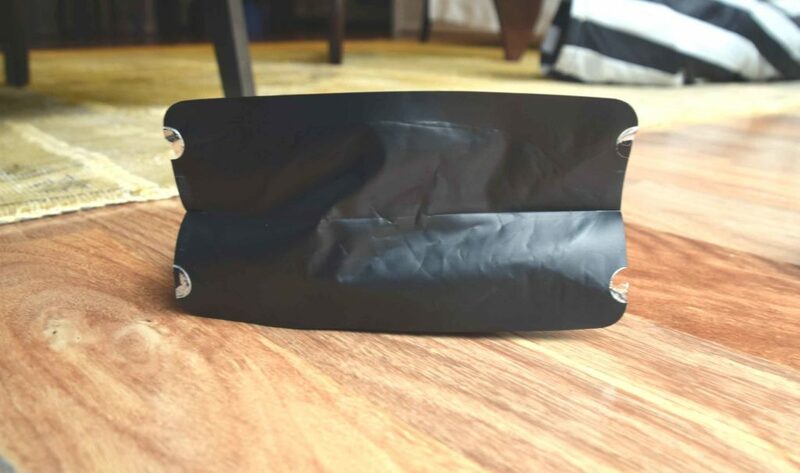 The meal comes in a bag that is well designed and the bottom opens out to provide a flat base if you want to leave the bowl at home. Unlike Back County Cuisine and Outdoor Gourmet meals, the Campers Pantry desserts don’t have a tear point to make the food easier to access. This doesn’t bother me as I prefer to use a long handled spoon and leave the bag intact otherwise you can end up a big mess in your rubbish bag. I do love my desserts and greatly appreciate having a broader range to choose from to provide a bit of variety. 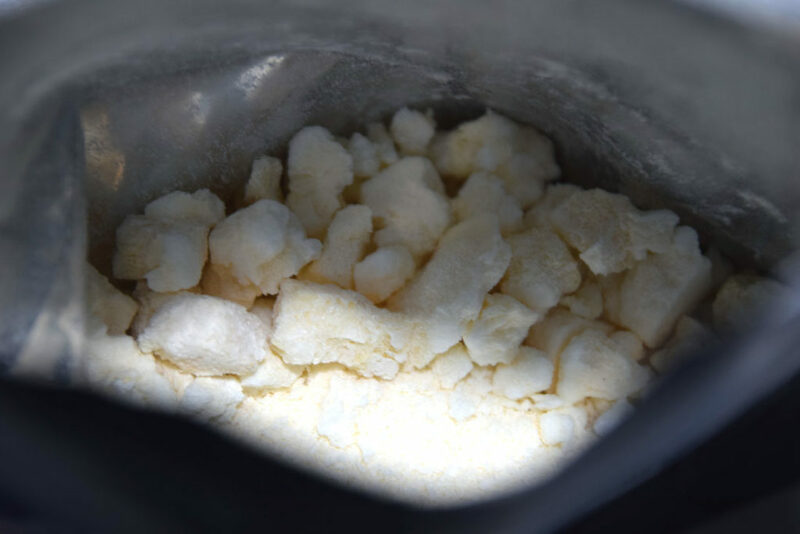 I love this dessert and look forward to enjoying this offering on those longer hikes where desserts play an important role.